An intensely personal novel about childhood, memory, and history by one of today's most celebrated authors, now available in the US for the first time. 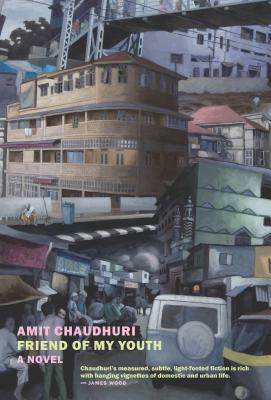 Amit Chaudhuri is a novelist, essayist, poet, and musician. A fellow of the Royal Society of Literature, he lives in Calcutta and the United Kingdom, where he is a professor of contemporary literature at the University of East Anglia. Friend of My Youth is his seventh novel. Among Chaudhuri’s other works are three books of essays, the most recent of which is The Origins of Dislike; a study of D. H. Lawrence’s poetry; a book of short stories, Real Time; a work of nonfiction, Calcutta: Two Years in the City; and two volumes of poetry, including Sweet Shop. He has made several recordings of Indian classical and experimental music, and the awards he has received for his fiction include the Commonwealth Writers’ Prize, the Los Angeles Times Book Prize for Fiction, and the Indian government’s Sahitya Akademi Award.